This marine electronics guide points out the most important items to have onboard and explores 5 categories: navigation, communication, safety, sporting pursuits, and entertainment. Within those categories are three products that should prove useful to anyone heading out on an ocean voyage. There are some brand names that come up a few times in this guide – such as Simrad and Garmin. This frequency of results is down to the quality offered, the breadth of their range and buyer recognition. There is also the fact that some marine companies build devices for a compatible set-up. Safety considerations and entertainment equipment are all important in their own right. But, there is no way to get to a destination and use these tools without the right navigation equipment. GPS systems can help sailors plot a course, but there are other helpful tools like compasses, charting devices and other apps. There are lots of different mapping devices on the market that aim to provide clear navigation tools. Garmin is one of the most popular brands in this area because of their work on GPS and the quality of the tools. The Garmin ECHOMAP Plus uses SideVu, ClearVu, and traditional CHIRP sonar channels. The images and data all appeal in a clear 9-inch touchscreen so they are easy to read. Another benefit to this mapping system is the use of the ActiveCaptain app. This app provides more information and connectivity between the boat and the marina. There is also the opportunity to use this device as a fish finder. Still, there are other dedicated products for that, such as the one below. Dedicated fishfinders are a great idea for any boat owner with the desire to land the perfect catch on their marine adventure. Fishfinders give sailors the upper hand with a clearer idea of where the fish are and the terrain beneath the surface. 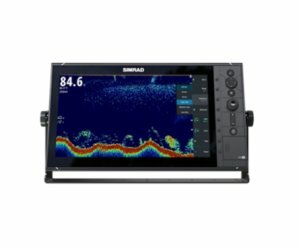 The Simrad S2016 Fish Finder is a great example because of the use of sonar and the quality of the display. The S2016 system uses a CHIRP-enabled Broadband sounder to scan the water. Results come back via a clear, audible ping and strong imaging on the 16’’ display. This updated model has a much larger screen than previous options for a better field of vision. Auto-pilot systems can offer some peace of mind to sailors as they head out on a steady course. Solo travelers, or small groups with a lot to do, can attach these systems to the hydraulic steering for a little assistance. The Ev-150 Hydraulic system from Raymarine has everything that users need in one box. This package includes the sensor, control unit, control head, and cabling kit. The control head has a clear backlit screen with intuitive controls. This ease of use means that first time users shouldn’t have too many problems staying on course. Communication is also important on these adventures. Sailors need a strong line of communication between the boat and their port in case of emergencies. This connection allows for information relays on weather, incidents and anything else that might be vital to the project. A communication device also lets the crew contact families and bases for updates on positions and progress. A good VHF system is essential for anyone heading out on an ocean voyage. This two-way system provides a clear link between the vessel and the land. The importance of a device like this means that boat owners need a reliable, well-designed system. The Simrad RS20 VHG Radio fits that bill for many sailors. It has multiple scan model and clear channels, with easy to use controls. The first microphone has four buttons for easy operation and there is a high visibility display. The other benefit to this Simrad model is the size. This model is small enough to sit neatly on a bracket without taking up much space. There is also the option of a flush-mount installation. There is little point in taking the latest smartphone out on the ocean in order to stay in touch with family and friends. A lack of coverage and dying batteries limit the potential of these cell phones. A satellite phone like the Garmin inReach Explorer+ is much more reliable with its 100% global iridium satellite coverage and 2-way text messaging. This handheld Garmin device is pretty user-friendly, even if it isn’t as sleek and smart as an iPhone. Partners at home approve of the ease of communication, which is the most important benefit here. Safety and security are essential when traveling on your vessel for prolonged periods, even for those with experience. No sailor ever knows when danger will strike, or if a crewmate will have an accident. Basic essentials like flares and life jackets are a must. But, there are some electronic marine gadgets that can also help. In addition to this, many boat owners will worry about security. An unattended boat, full of expensive tech like this, could be a magnet for thieves. Starting with the safety aspect, there is the personal locator beacon. These beacons are a great tool for those worst case scenarios and accidents. 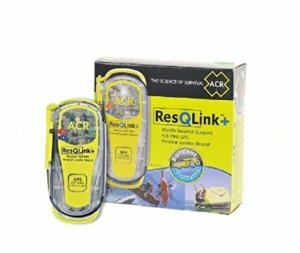 The beacon connects with local search and rescue operations to alert them to a life-threatening emergency in the location of the boat. This ACR model is preferable to some other options because of the buoyancy. The beacon will float and emit a strong ling source to alert crews. Therefore, the beacon is more effective in extreme cases where boats may have sunk or capsized. Those that don’t want to rely on the signals of a beacon for rescue may also like the idea of an additional flare. Flare guns have their benefits, but can also be difficult to use and unreliable. A battery operated handheld flare is a great alternative. The Ocean Signal LED Flare uses a bright orange LED with 360-degree visibility, a range of 7 miles and a life of 6 hours. The settings on the device allow users to switch between a steady light source and a strobe effect. There is also the benefit that this model is waterproof, so safe for those in the water too. Night vision cameras are an important tool for safety on the boat. Keen sailors know how dark it gets out on the ocean at night, and how difficult it is to judge the water. A thermal night vision camera like the FLIR M232 Thermal Night Vision Camera can scan the scene for any potential hazard. A device like this is also helpful in case of accidents and persons overboard. Users will appreciate the 320×240 resolution, digital zoom and the ability to pan and tilt. Another helpful benefit of this model is the use of audible and visual alerts about navigation markers and obstacles. There are many boat owners that will turn to a device like this SirenMarine MTC system for the security features alone. The unit hooks up to alarm systems with motion sensors to alert users about potential break-ins. The great thing about the updated Connected Boat system is that the benefits go beyond a basic burglar alarm. The device can also connect to the light and other sensors around the boat. Alerts inform users about water levels, engine temperatures and more. This is a versatile system with a lot of promise. The all-in-one hub approach is ideal for those that want a more streamlined tech system onboard the boat. Finally, there are plenty of marine electronics with a less serious purpose. Once sailors have navigated their course with the mapping tech and informed family members of their position, it is time for some fun. Those that are heading out for research purposes may need some extra gadget to help. Divers can take pictures and log progress with the right tech. Then there are entertainment systems for the voyage and long nights at sea. Explorers that head out on the ocean for snorkeling expeditions will appreciate a good diving watch. However, consumers need to be aware that there is a big difference between the diver’s watches and scuba diver computers. Diving watches are good for keeping track of time while swimming and snorkeling but fail past a designated distance. Scuba watches like the Cressi Giotto Dive Computer provide clear data on the dive, with audible alarms and a log book. Buyers say that if the system had a compass it would be close to perfect. This system is much more than a water that happens to be waterproof. Instead, the computer is a sophisticated system with great potential. Travelers keen on swimming and diving may also want to have a camera to record what they see. Some scuba divers will do so for fun, others may find it helpful for data entries and research. The GoPro is the camera that many consumers immediately think of for outdoor pursuits. The GoPro Hero 6 is waterproof up to 10 meters, so perfectly safe when snorkeling. It is also easy to use, mounts to other hardware and has the option of video capture. Others will prefer waterproof DSLR-type devices with more options. Yet, none of these traditional options have the hands-free versatility of a GoPro. Finally, there are plenty of well-designed music systems that suit life on a multi-hull vessel on the open ocean. Music can help pass the time between destinations and life the spirits during bad weather. 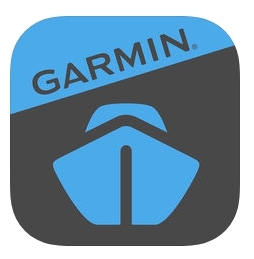 The Garmin Fusion Entertainment system is a popular compact model from a well-known brand. This multifunctional CD and DVD player is a great addition to a cabin and pretty easy to use. There are some users that have had connection issues with the accompanying app. Still, a few bug fixes should sort that problem out in the future. Otherwise, this entertainment system is a good alternative to a more expansive home cinema set-up. There are quite a few factors to consider when choosing the best devices for a boat. The purpose is obviously the most important aspect. The item chosen has to suit the boat and have a practical purpose. The device also has to be easy to use, reliable and on budget. Sailors need to remember that an impractical item left unused may take up valuable space, power, and finances. These problems lead to two other vital considerations when choosing electrical marine equipment. The first issue is the power supply. Is there enough power on-board to power everything for the duration of the voyage? If not, is there a means of generating power, such as a solar generation system. The second is the cost. Marine electronics don’t come cheap and some of the best options are thousands of dollars. Therefore, it pays to shop around for the best deal. As long as sailors deck out their boat with researched purchases, there should be no problem. The types of products and examples listed above are not the limit of the options available. There are other types of safety equipment, navigation tool, communication devices and entertainment options, click here. This list simply provides a starting point and prime examples. Sailors looking to deck out their boat need to take the time to compare different models, price points, and specifications. No boat owners should settle for something that isn’t quite right, especially something as important as a GPS system, satellite phone, or beacon.